It is impossible to imagine an eye-catching and all-time functional character of a home without having the right kinds of tables inside! While taking into account the better performing and functional kinds of tables, we just like to think first about a DIY coffee table having always a centerpiece worth of a living room! 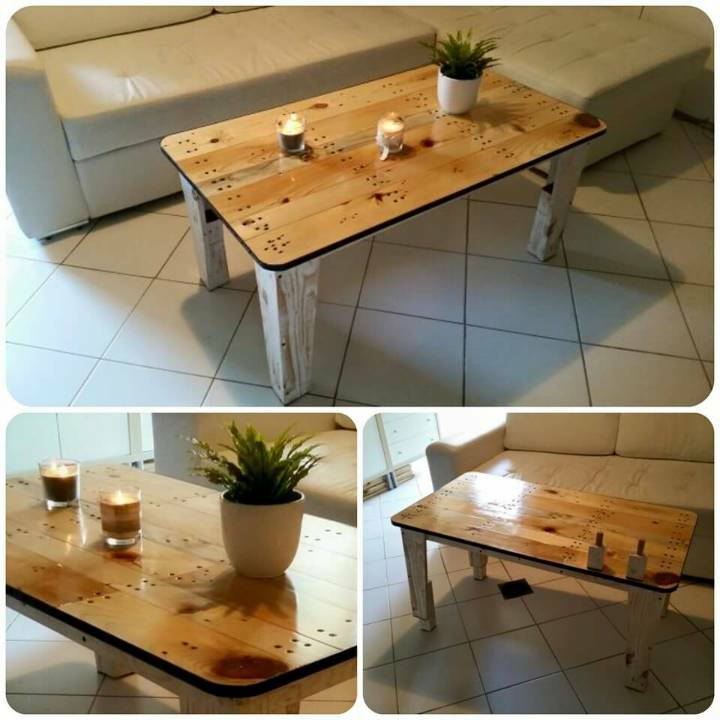 Due to vitally important and functional roles of tables in a home, the DIY has really taken it a serious and hence provides highly affordable solutions to gain highly stable and functional kinds of tables at home! 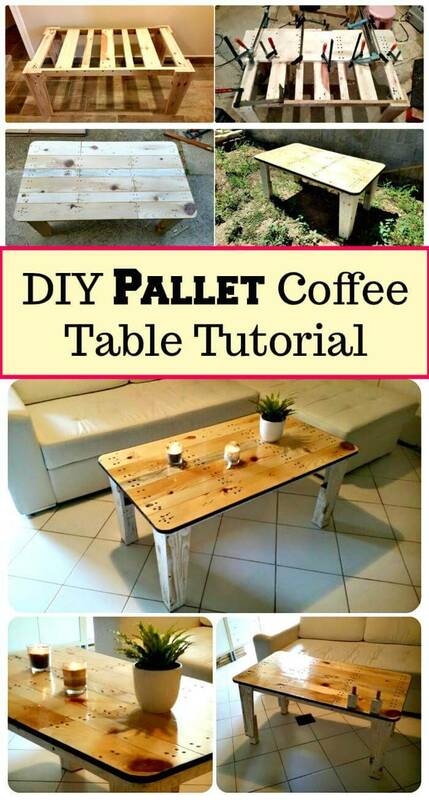 The material to use are pallets and if you ask how to recycle them or use them for Pallet furniture crafting then we are having this DIY pallet coffee table tutorial that is serving here as a whole guide to building outstand and industrial looking wooden tables at home for free using nothing but the retired shipping skids! All you need is to peek into the construction steps to duplicate this highly sophisticated model of the dity coffee table at home! 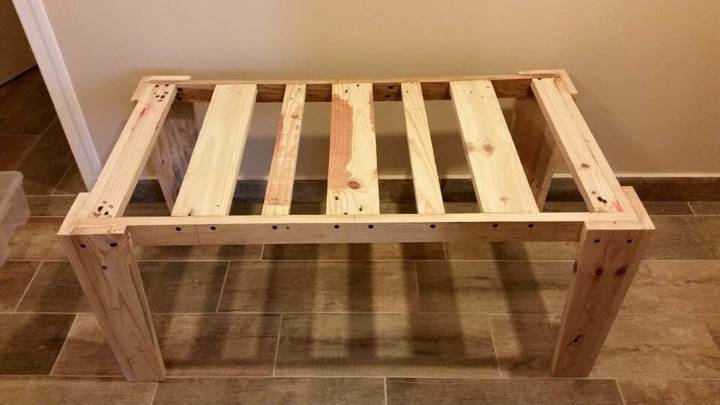 Just build the rough base frame first and this may also include the angled wooden legs fitted nicely and then you can move forward one step ahead to installed the top! Make sure the pallets you are using are well-cleaned and splinter free if not then pass them through a gritting and sanding process first! 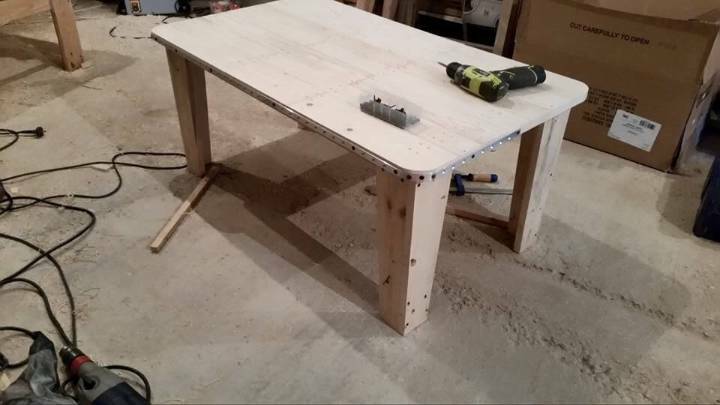 Strip apart the pallet lengths with help of some highly friendly tools like pry bar, hammer and sawzall and this will give you a big pile of pallet slats which can easily be integrated to build any unique part of this table just like this wooden tabletop being installed here! Add pallet lengths one by one and do layer the glue between each two! 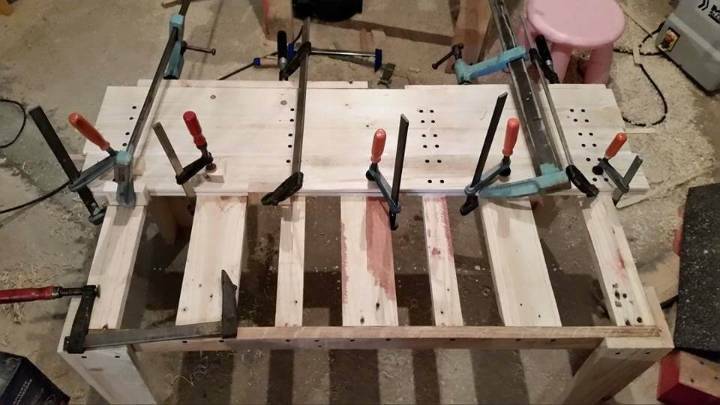 Use Keg Jig system to hold the glued parts together till the lasting joints! After getting the whole tabletop, the edges have been brought to round shapes using precise wood cutting tools! 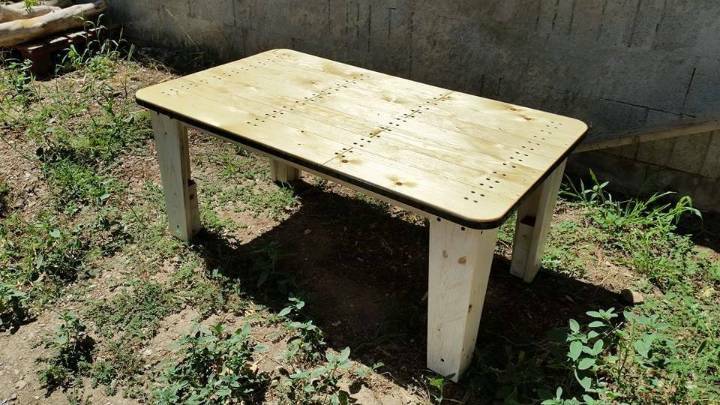 You can even do more to make the tabletop look unique and eye-captivating! 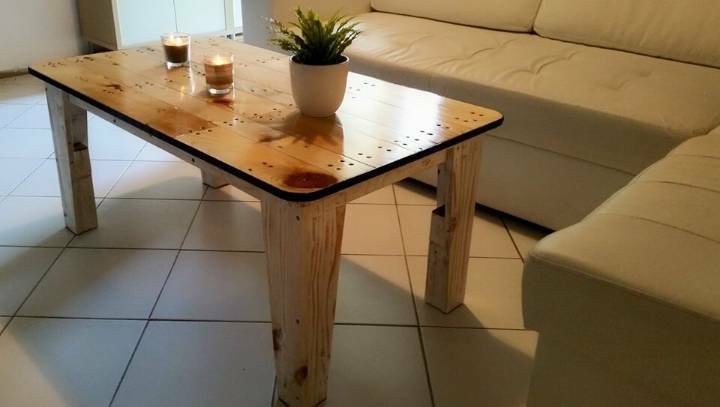 There is another creative trick has been played here to create a more decorative and industrial looking avatar of table, the tabletop has been given an additional metal boundary line which has been fixed in place by drilling some holes and by putting the screws in then after! Keep the rustic look of the table for garden, patio, and backyard sitting set and do refine it for a modern chic appeal for your elegant and modern living room interior! Put a glance here to view that how beautifully the metal decorative edging has been done and secured with X-headed screws! You can also see the rows of nails over the top that are holding the tabletop tight in place! Finish the table with some clear satin coats for an enriched and sleek wooden character and do treat the wooden surfaces with according shades of sealant like polyurethane for awesome shine and crystal clearance! 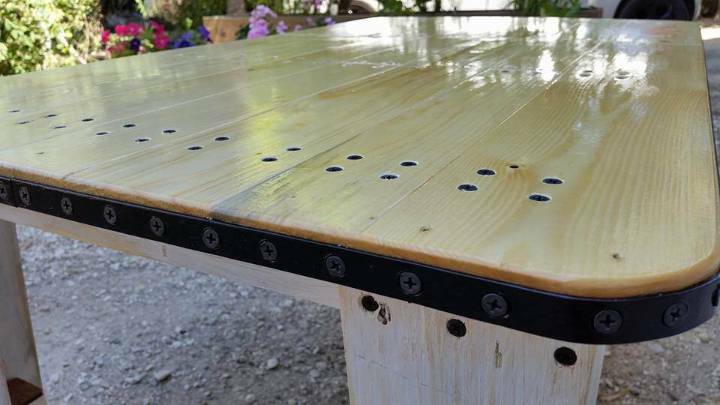 The top has been sealed with polyurethane that will enhance the stamina of wood more and would also keep the wooden surfaces safe from scratches and beverage spills! 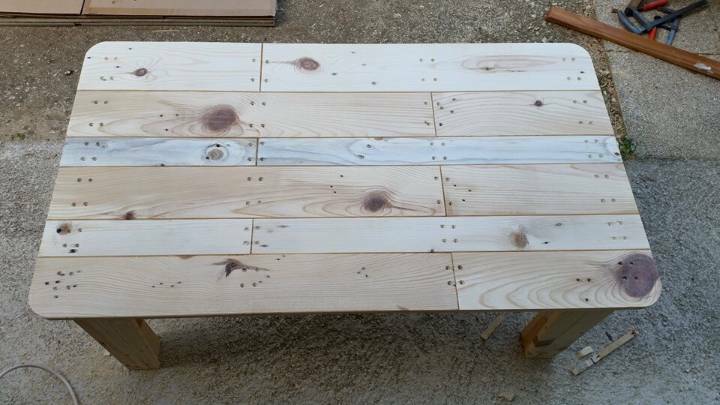 here legs have been displayed in distressed white and this creates a brilliant rustic yet modern look of pallet coffee table!